Award winners represent less than 1% of real estate agents in the Los Angeles area. I contribute to people's lives by successfully assisting them with one of the biggest transactions of their lives – the sale or purchase of their home! Jerry Sun, RE/MAX Premier Properties, is featured in a special section of the March issue of the Los Angeles Times as a 2018 Five Star Real Estate Agent award winner. Five Star Professional partnered with the Los Angeles Times to identify and showcase an exclusive group of real estate agents who have demonstrated excellence in their field. Less than 1% of agents in the Los Angeles area received this recognition. “Nowadays, I'm pleased to say the greater part of my business comes from referrals from my past clients. For this I am most thankful, as there is no higher compliment than a referral from a repeat customer.” – Jerry Sun of RE/MAX Premier Properties. 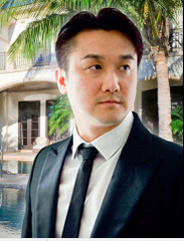 See Jerry Sun’s Five Star online profile here! “I know that buying or selling a home is one of the most important things that you will ever do, and I want to help make that experience as smooth and successful as possible. I contribute to people's lives by successfully assisting them with one of the biggest transactions of their lives – the sale or purchase of their home!” says Jerry Sun.